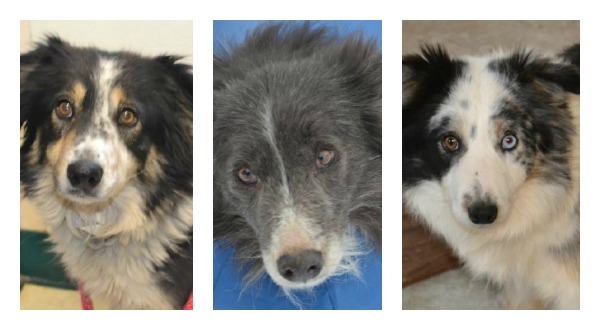 The owner of Flat Creek Border Collies is facing more charges. All dogs have been removed from the property. As bitter cold weather continues to spread across the country, animal advocates look to upstate New York for an update on Flat Creek Border Collies. The breeding operation made headlines earlier this month when dogs were found to be living outdoors with little shelter. Most of the dogs were removed and sent to rescue. Now, the remainder of the dogs have been removed from the Spraker's facility, veterinarians have weighed in on the dogs' conditions and additional charges are in the works against the kennel owner. Herbert Welch is slated to be in court on Monday, February 3 to face more charges in the case. He'd been charged already for failing to provide adequate shelter for the dogs. Now, the state of New York has charged Welch with failure to provide proper sustenance under the New York State Agriculture and markets Law. More charges could still be pending. it's feeding time at Glen Highland Farm for the Flat Creek rescues. Just last Tuesday, a report was released by the team of veterinarians evaluating the dogs from the puppy mill. According to the report, all of the dogs were infected with worms. Dogs also had matted coats, bad skin conditions, dental issues and some had open wounds. Over 40 dogs had been seized in the initial investigation and none were healthy enough to be spayed or neutered. After the veterinarians' report was released, authorities went back to the puppy mill to seize the remaining dogs. The Montgomery County SPCA has been assisting in the case but have been told by police not to comment on the ongoing investigation. 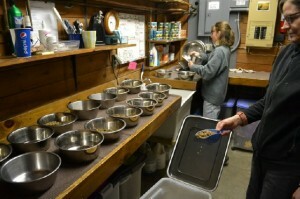 Most of the dogs are being cared for and rehabilitated at Glen Highland Farms in New York. That organization is working in conjunction withNew England Border Collie Rescue (who have 10) and Blue Ridge Border Collie Rescue (who have 6) caring for the dogs. Donations for the care are being taken online. You can also meet the dogs online. According to the organizations, website they are also limited as to what they can say about the dogs because it's an ongoing investigation and court case. We wanted to provide a glimpse of some of the dogs. Almost all are young adults. They are all eating well and are VERY content to be inside. In fact, many have no interest in staying outside whatsoever. Their timidity is obvious, based on their previous life but we are optimistic we can help them find the love they so richly deserve. We are hopeful that the 10 in our care (that could be returned) and those remaining onsite will find permanent safe haven. In New York, legislators have been looking at current laws and working on introducing new legislation that will increase penalties for future cases like this. On the federal side, many unlicensed breeding operations - or puppy mills - fly under the radar everyday. Although licensed breeding operations face ISDA inspections, federal inspectors lack the authority to take proper action when facilities are in violation of federal laws or the animal welfare act. Some of the dogs being cared for at Glen Highland Farm.